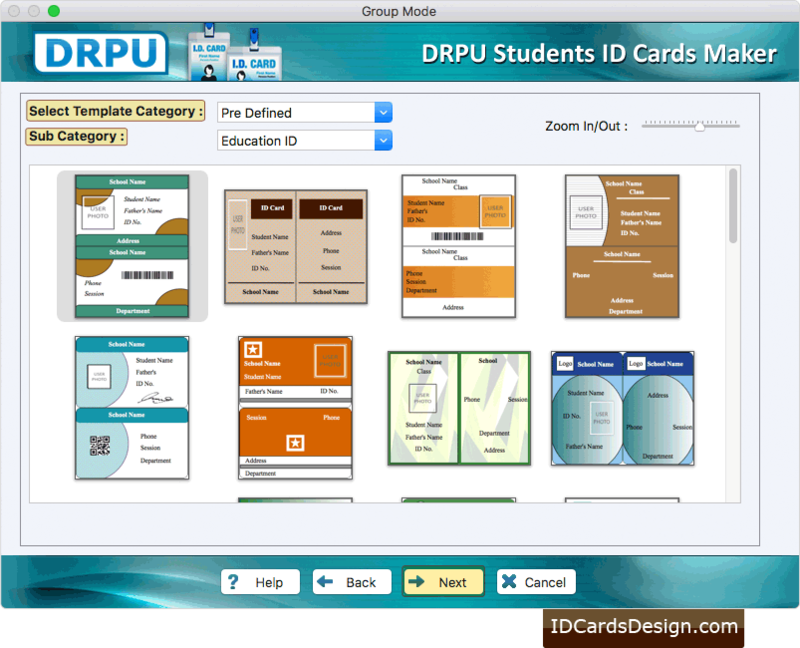 Software provides two modules for creating student id cards. Select any one mode, as we have selected Live Group and Batch Processing Mode. Select any one Pre-defined template and click next button. 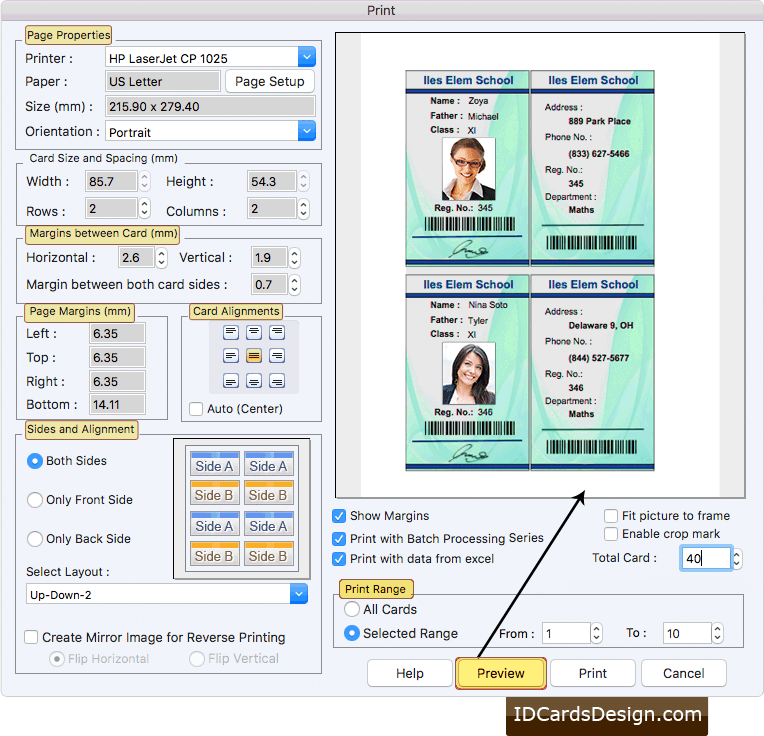 Browse ID card details from Save Details, which you want to add on your ID Card. 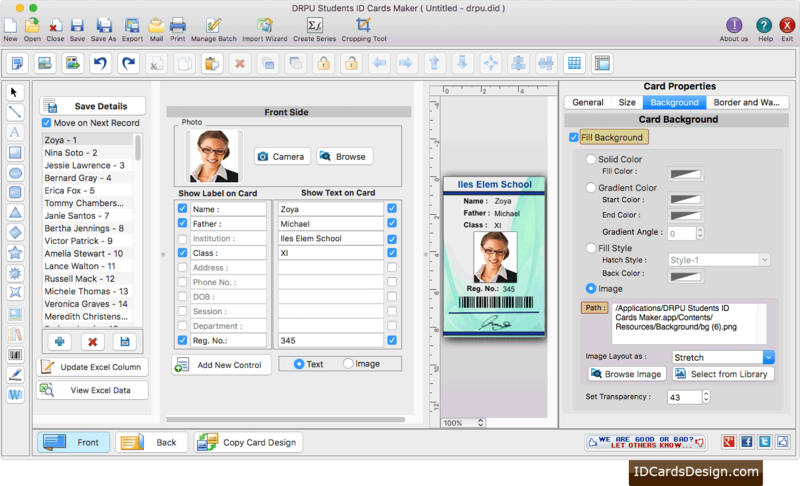 To print your designed ID card, Set all print settings and then click on 'Print' button. 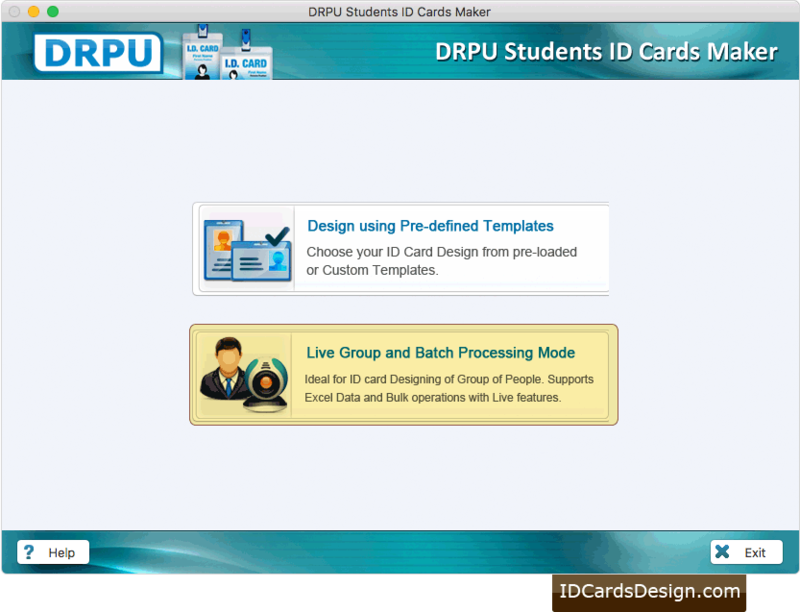 You can also see the preview of your designed ID card using Preview button.